WASHINGTON — The Senate on March 4 confirmed Pamela K.M. Chen by a voice vote to a seat on the U.S. District Court for the Eastern District of New York. 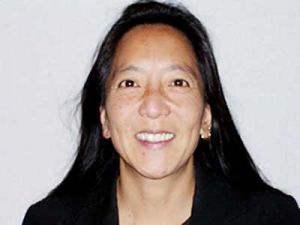 She becomes the first openly gay Asian Pacific American to serve on the federal judiciary. For almost 14 years, Chen has served as an assistant U.S. attorney for the Eastern District of New York, where she has served as chief of the Civil Rights Section for more than eight years, and previously as a deputy chief of the Public Integrity Section of the Criminal Division. She also served as a deputy commissioner for enforcement at the New York State Division of Human Rights, as a trial attorney in the Justice Department in Washington D.C., and in private practice. Chen has won numerous awards for her work, particularly in addressing human trafficking. Chen’s confirmation increases the number of active Asian Pacific American Article III judges to 18 nationwide: two federal Appellate Court judges and 16 federal District Court judges. Obama nominated a record 17 Asian Pacific Americans to the Article III courts. Three more Asian Pacific American Article III nominees are pending in the Senate: Sri Srinivasan for the U.S. Circuit Court for the D.C. Circuit; Raymond T. Chen for the U.S. Circuit Court for the Federal Circuit; and Derrick Kahala Watson for the U.S. District Court for the District of Hawaii. NAPABA and AAJC said they are all highly qualified and urged the Senate to move quickly to confirm them.